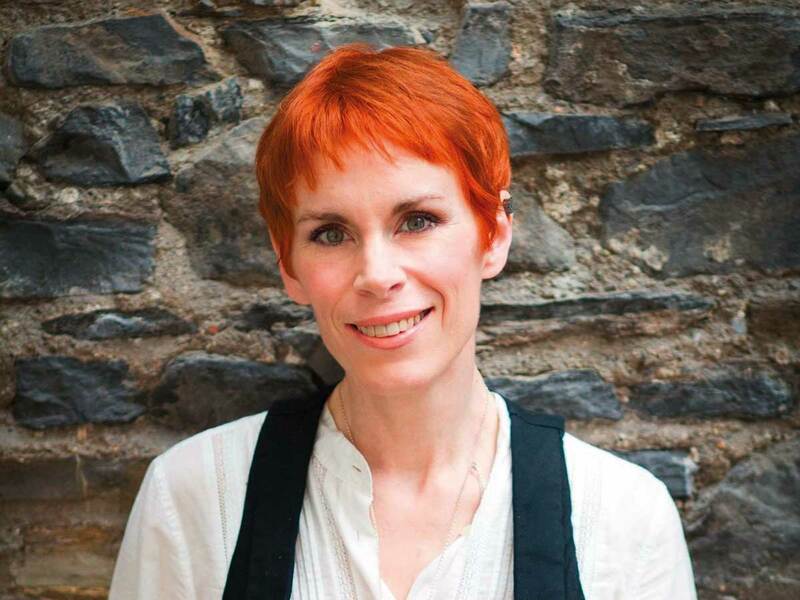 Tana French ducks out of the rain and into an Italian restaurant in the villagey Dublin suburb of Sandymount, looking a little like a mischievous sprite: cap on her head, a crush of vintage and contemporary badges pinned to her bag, a big, open smile. Of Russian, Italian, American and Irish heritage, she orders a cappuccino in the relevant language, though declares herself far fonder of the Leinster damp than the sweltering heat of Rome, where she lived before this latest, decades-long stint in Ireland. “These things” would not, in truth, be easy for anyone to deal with. In a boozy snooze after a night on the lash with pals, Toby is woken by intruders in his plush flat; in the ensuing struggle, he receives a head injury that impairs his movement, his confidence and, crucially, his memory. In retreat from the world, and increasingly dependent on reality-skewing drugs, he goes to spend the summer caring for his dying uncle Hugo at the family pile on the outskirts of Dublin. This not entirely perfect plan — there are some deliciously creepy cousins knocking about too — goes startlingly awry when a skull turns up stuffed into a tree trunk in the garden. Now 45, French is something of a past master at making switches and transformations, perhaps no surprise when you learn that her grandmother was a White Russian whose family fled the 1917 revolution via Crimea and settled in Ethiopia, where she married an Italian lawyer. French’s childhood was marked by frequent moves — her father’s career as a development economist took the family from Vermont to Florence when French was a baby, and later Malawi. By contrast, her husband, Anthony Breatnach, is “straight-up Dublin all the way” and comes from the ancient inner-city district of the Liberties, so-called because for centuries it operated according to laws separate from the rest of the city. “It’s not coincidence that a lot of writers — a lot of actors too — are third-culture kids,” she says. “Part of it is that we’re comfortable with the instability that goes with the arts life. We’re at home with the idea that you don’t have one solid job that lasts you for ever, it’s not a big upheaval mentally.” In a break between theatre jobs, she worked on an archaeological dig — another passion — and became captivated by a wood near the excavation site. She began to imagine the story of three young children playing there, and only one coming out, unable to remember what’s happened and traumatised thereafter. She scribbled it down, found the piece of paper a year later and still wanted to know what happened. The only option was to write the story herself. That idea became her debut novel, In the Woods. Eleven years, numerous awards and global sales of more than five million copies later, she’s established herself as one of the most talented and ambitious crime writers. Her series of police procedurals has explored social hierarchies, particularly in post-crash Ireland. But she admits to a certain nervousness at the apparent change in direction with The Wych Elm, even though she hadn’t originally been aware of working in any particular genre. The kernel of The Wych Elm’s plot comes from a grisly and sad unsolved crime, in which a group of boys found a woman’s remains in a tree-trunk in Worcestershire in 1943. Her identity is still unknown, despite speculation that she was a wartime spy, but the year after the discovery a piece of graffiti asking “Who put Bella in the wych elm?” appeared in Birmingham. French tells me that her brother sent her a link to the case, with the message “This sounds like a Tana French book”; and the setting for her study of buried history that comes bursting into the present revealed itself. But that’s about as recent a historical murder that French finds herself drawn to; she’s not been swept up in the current vogue for rooting around in violent criminal cases, finding expression in podcasts such as Serial and West Cork: “I’m not really interested by modern true crime, partly because there are people who are still in pain ... and I find it very hard to see it as a fascinating story. But the historical stuff gives you a window into a time and place.” She admires, for example, The Suspicions of Mr Whicher by Kate Summerscale, which examined the murder of a child but also put the class tensions of the mid 19th century, and the role of the police force, under the microscope.